The November 13 episode of Keeping Up With the Kardashians will feature Kim Kardashian urging Khloe Kardashian and Kendall Jenner to meet with families of gun violence then join her gun control push. Los Angeles County Sheriff’s Department investigators began a search Tuesday morning for a person suspected of throwing a lit object through the glass of Kardashian sisters-owned clothing store DASH Boutique in Beverly Grove Monday night. Lamar Odom may not have settled all of his outstanding debt to the brothel where he was found unconscious earlier this month — and if he does not pay, the owner has pledged to go after his wife, Khloe Kardashian. 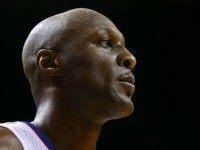 Former basketball star Lamar Odom was taking excess quantities of an herbal Viagra supplement and was visibly upset over his portrayal on Keeping Up with the Kardashians prior to being found unresponsive at a Nevada brothel Tuesday. 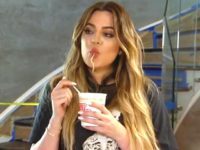 Reality television matriarch Kris Kardashian and her daughter Khloe will face lawsuits from several Marina del Rey families who say they suffered emotional distress after the famous family set off a raucous fireworks display in the middle of the night last week. Jenner did more than debut as a woman on Monday; she also broke President Obama’s Twitter record. Pamela Anderson stripped down for a reenactment of the infamous Psycho shower scene in a new print advertisement for People for the Ethical Treatment of Animals (PETA).